NoiseScore will help research scientist Erica Walker gather data on a little-studied pollution. Walker may know more about noise in Boston than anyone. She’s measured sound levels at hundreds of sites around the city as part of her research into whether our urban cacophony is not just annoying, but potentially toxic. New research by Walker and others suggests that noise doesn’t just hurt our hearing. Chronic noise exposure floods the body with stress hormones that can lead to higher blood pressure, more blood clots, and a greater likelihood of heart problems and stroke. People who live near highways or airports have higher rates of heart trouble and hypertension — a study of people over 65 found that every 10-decibel rise in aircraft noise overhead correlated with a 3.5 percent rise in hospitalizations for cardiac issues. Another study found similar increases in highway noise sent heart disease risks up 8 percent. Traffic-related noise costs a million years worth of healthy living for western Europeans annually, according to a 2011 World Health Organization study. Most of us, though, don’t think of noise as dangerous to our overall health. Walker thinks that’s partly because public health researchers don’t take noise seriously enough, particularly in the United States. She aims to change that, starting with creating a more comprehensive measure of noise exposure. The standard metric, A-weighted decibels, focuses on the loudness of midfrequency sounds, sounds the human ear can hear most easily. But it discounts lower-frequency sounds, like the rumble you feel in your chest when people stomp their feet at a concert, even though such sounds travel farther and penetrate walls more easily than higher-frequency sounds. Erica Walker, outside her Albany Street office, wants public health officials to change the way they think about noise. At the hearing, Walker talks about some recent studies, including one she coauthored, that found lower-frequency sound triggers a stronger stress reaction than higher frequency ones. But she also says we don’t have data about concert noise, so she’s planning to measure sound before and during the Fenway Park concerts, augmented by neighbors using a noise-monitoring app she’s created called NoiseScore. After Walker speaks, an older woman from the neighborhood complains that low-flying helicopters and ambulance sirens outside her home sometimes leave her stomach clenched from the stress (individual tolerance for noise varies). Board chairwoman Christine Pulgini seems to have heard enough. “In all fairness,” she interjects, “that’s city living.” A few weeks later, the board approves all 12 concerts. It’s true that some hubbub is expected and even welcome in a vital urban center, and Boston’s municipal code does set thresholds for “unreasonable or excessive” noise — more than 50 decibels (normal conversation volume) between 11 p.m. and 7 a.m., and above 70 decibels (as loud as moderate traffic) at any time (permitted construction projects and one-offs like concerts excepted). Violators typically get 15 days after a complaint to come up with a plan to turn down the volume, and if they don’t, the city can take them to court. But enforcement is a patchwork. If you’re bugged by noise from HVAC systems and other fixed, mechanical sources, you can file a complaint with Boston’s Air Pollution Control Commission, overseen by Spector’s department, which also investigates complaints about some types of construction noise. But other construction noise is the purview of the city’s Inspectional Services Department. Meanwhile, you go to the police for car alarms and loud neighbors. For road roars and other transportation tumult: it’s the Massachusetts Port Authority for planes, the MBTA for mass transit, and the Massachusetts Department of Transportation for highways. You can complain by phone, e-mail, or online form. 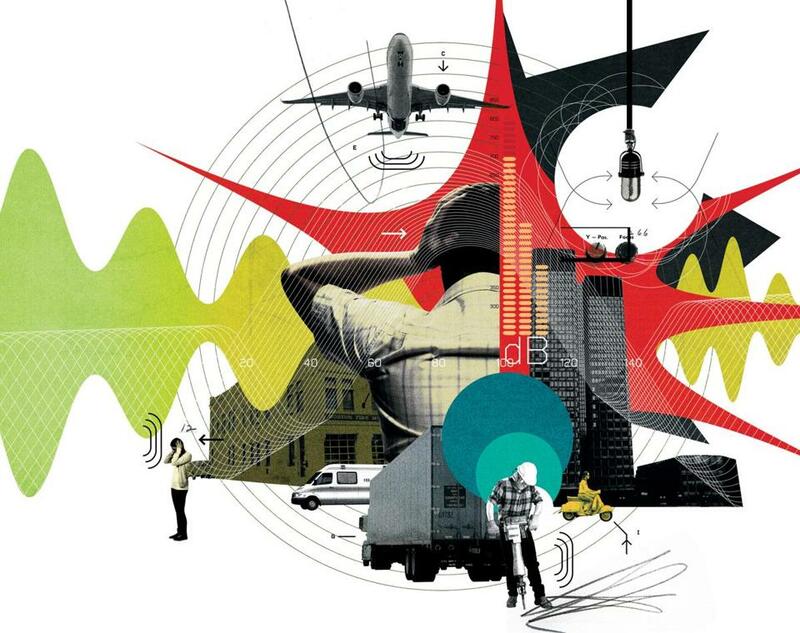 Most agencies then decide whether to send out investigators armed with noise meters. Walker experienced how hard it is to quell the intrusive sounds of city life back in 2008, when a family moved into the Brookline apartment above the one she shared with her sister. The family’s two little kids seemed to be constantly running, jumping, and yelling. She spoke to the family, complained to the landlord, and called the police. Nothing diminished the din. She started recording the noise and looking up noise laws. Eventually, the landlord found a different apartment in the building for Walker and her sister. Walker, 38, grew up in Mississippi, and a slight Southern lilt sneaks out when she’s kidding around. She came to Boston to attend Simmons College, where she majored in math and economics. After graduating in 2001, she supported herself as a high school math teacher, while making and selling art on the side. In 2009, she enrolled at Tufts University for a master’s degree in economics and urban planning, intending to study what influences people to open stores in central business districts. But with her neighbors’ sonic assault still echoing, she decided to study the health impact of noise. She joined a team of Tufts scientists gathering data on vehicular air pollution and health outcomes in Somerville. She measured noise exposure, spending hundreds of hours developing a complicated mathematical model combining sound measures, topography, building heights, vegetation, and other factors that affected noise levels. The project was bigger than a master’s student would normally be allowed to do, but Walker convinced her thesis adviser, Mary Davis, a professor of urban and environmental policy and planning, that she could do it. Walker went on to get a doctorate in public health at Harvard. For her doctoral research, she biked around the Boston area measuring sound at some 400 locations, mapping low-frequency hot spots, which are often near major transportation, such as highways, trains, and Logan International Airport. She wove that data in 2016 into a project she dubbed the Greater Boston Noise Report. It included interactive heat maps, splashy multimedia, and neighborhood “noise grades” based on factors such as average day and night sound levels, noise complaints, and green space. In addition, the number of flights Logan handles started growing again in 2012 after years of decline and is expected to expand rapidly in the coming decade. Many locals don’t put much stock in the models Massport uses to create noise contour maps, published in massive reports long after the readings are taken. 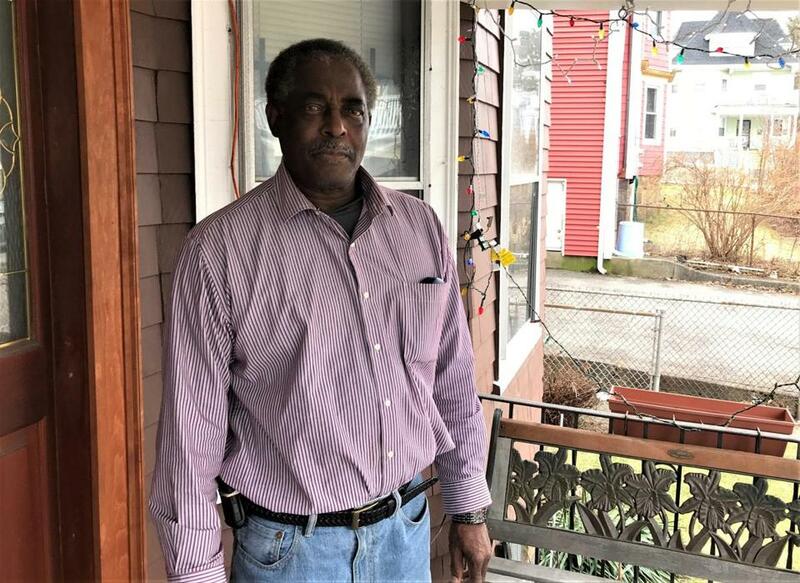 “I have heard from so many people who don’t want to rely on Massport’s noise reports,” says Adrian Madaro, East Boston’s state representative. Enter Walker and her app, NoiseScore, released late last year. 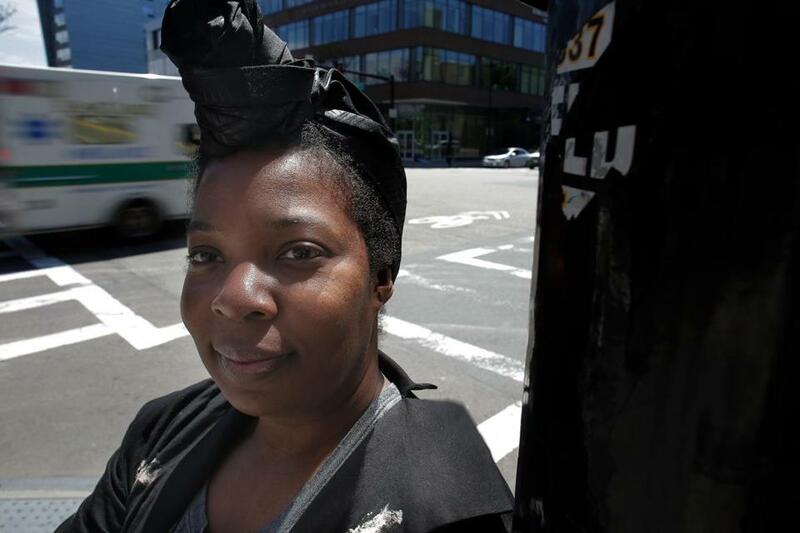 It’s designed to help people measure noise in Boston and beyond, and in turn to give her data that could change the public health discussion about noise. NoiseScore users can record nearby sound along with photos or video of whatever creates the ruckus. They can also rate their own sensitivity to noise, which Walker thinks affects stress levels and thus health outcomes. The data are fed into a near-live online heat map, accessible via the app, that can be filtered for things such as sound level, noise source, and time of day. People in about a dozen countries have signed up, but most users live in the Boston area, where Walker has been promoting NoiseScore through events with community groups. After hearing about her work, Madaro met with Walker in March. He hopes to convene a community meeting where Walker can present her research and promote her app. The walk is co-hosted by the Mission Hill Health Movement, an organization that promotes health and wellness education, as well as neighborhood walking groups and a local farmer’s market. Walker hopes people will use NoiseScore as a tool to counteract excessive noise. Right now, it has about 4,000 users. Walker needs many thousands more to collect enough data to forge a new measure of noise that could, among other things, validate her theory that low-frequency noise creates significant health risks. It’s this potential to empower people with data that convinced the Radcliffe Institute for Advanced Study to fund NoiseScore’s development in 2016, says Sean O’Donnell, the institute’s associate director of academic ventures. “She was really aware of the public nature of this and the communities she was working with,” O’Donnell says. Royal Sibley on his front porch in Dorchester. He’s been working with Boston Public Schools to resolve a noise issue. Boston Public Schools engineers visited with Sibley both before and after Walker measured noise levels. They agreed to keep the boiler off between midnight and 5 a.m., added sound-proofing insulation, and monitored the sound from the boiler — which registered at about 60 decibels (conversation volume) and peaked at around 70 decibels (traffic volume). Both levels are within Boston’s limit (though not APCC’s HVAC limit). Walker’s readings are consistent with those of the engineers for standard noise levels. But, she also measured the lower-frequency rumbles from the boiler that the standard measures ignore. Those peaked at 85 decibels. “I can feel it,” says Sibley of the boiler noise. “It feels like it’s eating at your body.” BPS engineers say they will work with Sibley to try to address this concern, too. Nobody can say whether Boston as a whole is getting noisier, even though noise complaints to the Air Pollution Control Commission have been rising — to nearly 490 in 2017, more than double what they were in 2013 and three times the number from 2009. Individual households can have noise levels that deviate widely from their neighborhood average. Walker once got an earful from a woman who was angry that her neighborhood received an A grade in the Greater Boston Noise Report. Walker knew the grade was based on good data, but this resident lived in a part of the neighborhood that was directly under a flight path. “In my report, her voice wasn’t being heard,” Walker acknowledges. That inability to become more specific about noise exposure is one reason why Walker wants to see NoiseScore widely adopted. She’s been busy fixing bugs in NoiseScore while applying for research grants, doing research, and conducting community outreach. She gets inspired when people begin to think about the impact of the good and bad sounds of their daily lives. During the Mission Hill walk, one woman talked about being startled by steam belches from the power plant in the nearby Longwood Medical Area. A man recalled the time he and his wife discovered their dog howled all day when they were at work. People expressed delight at chirping birds or the laughter of friends talking on front stoops. A sound-seeing tour of Boston, curated (in A-weighted decibels) by Erica Walker. Chris Berdik is a journalist in Boston. Send comments to magazine@globe.com. Get the best of the magazine’s award-winning stories and features right in your e-mail inbox every Sunday. Sign up here. This story has been updated to include the full name of the research center where Erica Walker works, and to clarify the location of her office.